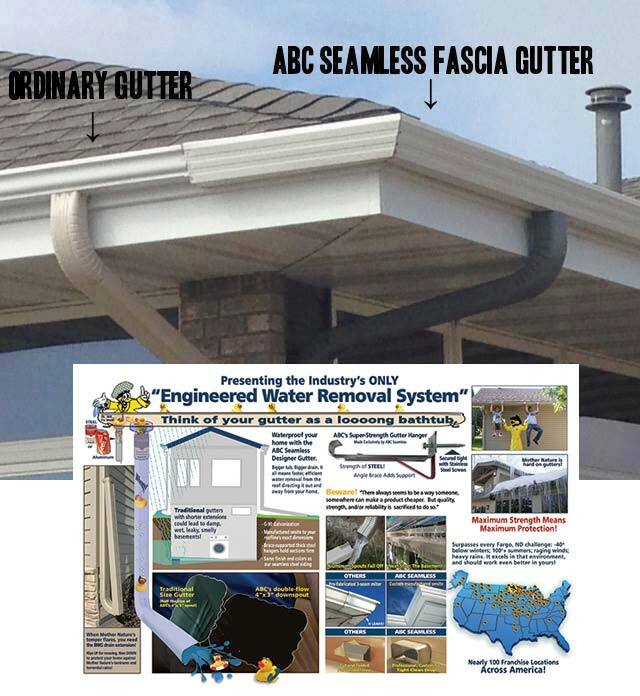 Consider the NEW ABC Seamless Fascia Gutter when replacing your gutters. It carries away 23 percent more water than the old style gutter. Also, its unique design blends into your home's exterior. The appearance of your home is important. 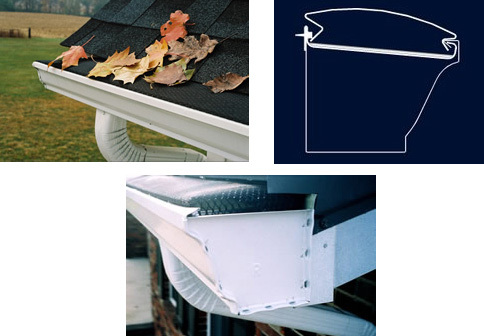 We use "hidden gutter hangers" to fasten the gutter to your home. The hangers are "hidden" from view on the outside, giving your home the clean, SEAMLESS look. Plus, they're stronger than the traditional "spike and ferrule method." The installation magic continues when each section of seamless gutter is roll-formed to perfectly fit on your home. By using the same material found in seamless siding, each seamless gutter is installed in either a matching or complementing color. Also, we offer matching soffit and fascia. The clear choice is the ABC Seamless Fascia Gutter. Financing options are available on approved credit. Call and make an appointment today. Gutter Guard is a combination of expanded metal base that is painted with a powdered coating and an aluminum fine mesh for performance. The design is ideal for most homes and does not interfere with shingles, or penetrate the roof. The combination of the strength of the expanded metal and the performance of the mesh screen to protect your gutters from maple tree seeds, oak and ash tree tassels. Excellent for all roofs including: slate, shake, flat, tile and metal. Out performs most products and is a great value. Designed to be low profile and virtually invisible.